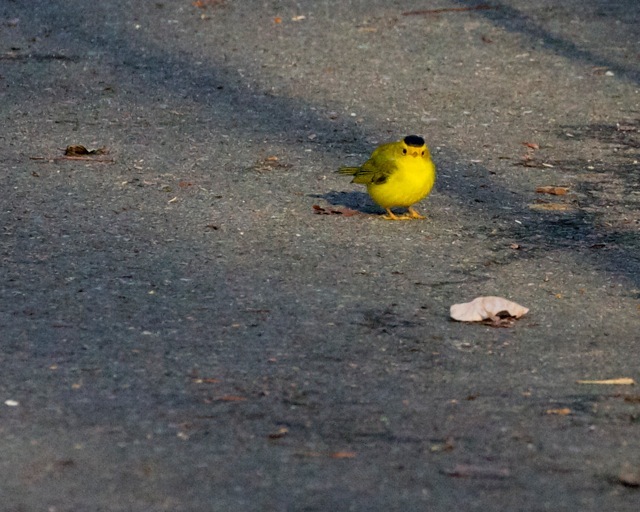 There has been a lot of chirping about a little yellow bird at Huntley Meadows Park recently. 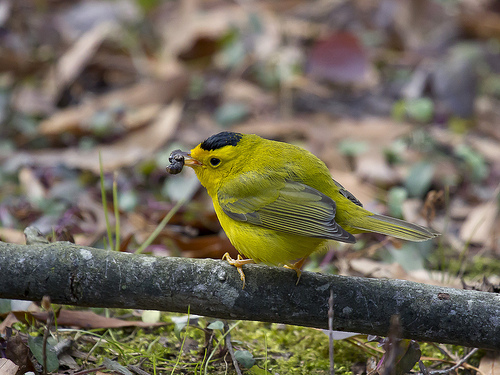 Ever since a Wilson’s warbler was unexpectedly seen during the Audubon Society’s annual Christmas bird count on Sunday, December 30, staff, volunteers, and visitors have been curious about the bird’s origin. A tiny patch of orange plumage above the bird’s beak sparked a debate and led to the endearing moniker, The Improbable Mr. Wilson. Meet The Improbable Mr. Wilson. 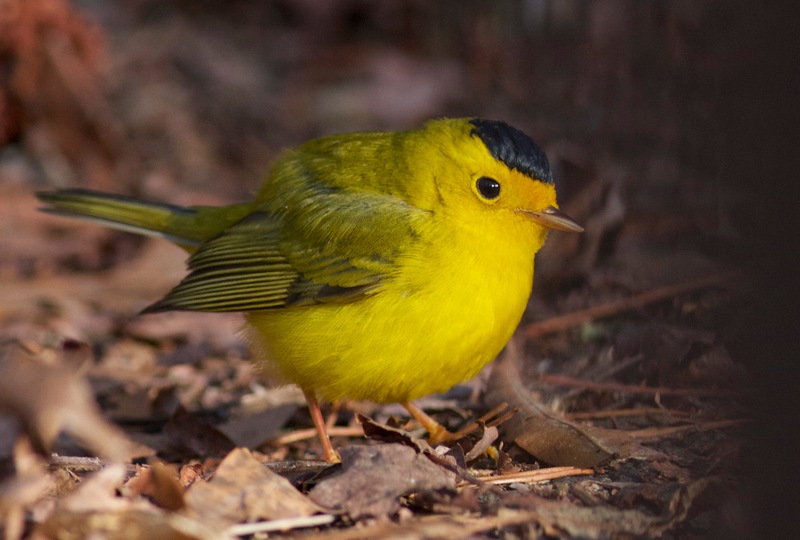 According to park manager Kevin Munroe, Wilson’s warblers, like most warblers found in the park, are neo-tropical migrants, which means they breed somewhere in the northeastern U.S. and Canada each spring and summer before traveling south to spend their winters in Mexico, Central America, or South America. Munroe says it’s not unheard of to see a misplaced migrant at this time of year, but they typically either move on or expire due to a lack of food sources. For a specialist in hunting insects like Mr. Wilson, January in Northern Virginia is a tough place to find a meal. However, Mr. Wilson has proven to be a resourceful visitor. Since his first sighting, scores of people have reveled in the sight of the wandering warbler feeding at the birdfeeders next to the visitor center. He has managed to avoid the hunting hawks and was photographed chomping on a caterpillar. Mr. Wilson has also been seen feeding on Sweetgum seeds along the paved trails. As people inadvertently step on the spiky pods, Mr. Wilson swoops in to munch on the released seeds. The Improbable Mr. Wilson snacks on a caterpillar. One theory about Mr. Wilson’s visit is that he is filling up for a late departure for the Southeast U.S. or the Gulf Coast, where he could survive on seeds, berries, and any available insects. But it is the presence of the bright orange markings visible in the many high-quality photos being shared online that have birders wondering if Mr. Wilson may have traveled from the west, not the north. The bright orange patch above Mr. Wilson’s beak caused quite a stir. After seeing the orange forehead in a photo, longtime birder Bill Young exclaimed, “Mr. 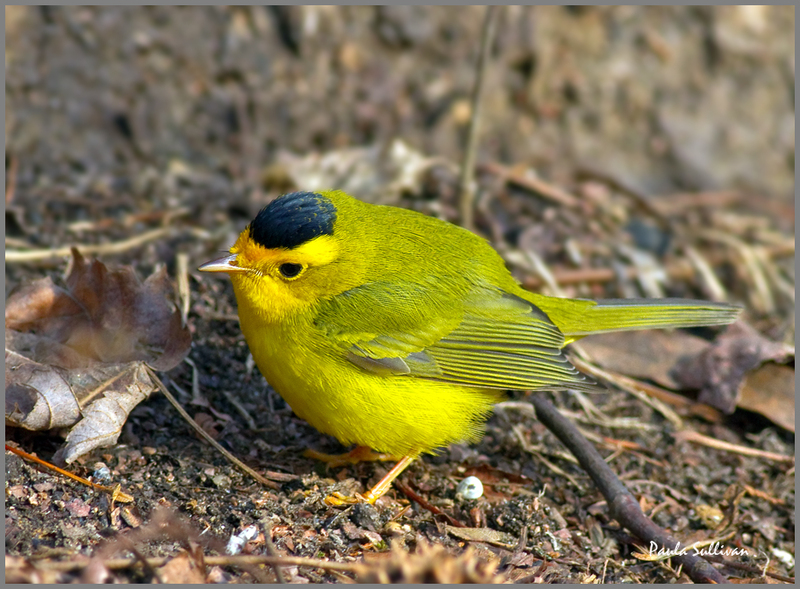 Wilson appears to be even more improbable than he seemed at first glance.” Young has had many close looks at Wilson’s warblers in the past, but doesn’t recall ever seeing the orange marking. He and Paula Sullivan consulted the Garrett and Dunn warbler guide and found that there are three varieties of Wilson’s. Of the three, only one displays the orange markings, the chryseola. They learned that the chryseola variety breeds along a narrow band of the West Coast, from southern British Columbia to Southern California, and winters in Mexico’s Baja Peninsula and south to western Panama. Although Munroe is confident the wandering warbler began its journey on the West Coast, he said, “We can’t exactly check his passport, so we’ll never really know.” He remains open to other theories and welcomes discussion. 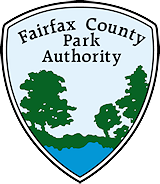 Mr. Wilson was last seen in the park on Wednesday, January 2. The birders who were fortunate enough to have seen him are grateful for his improbable visit and wish him a safe journey home – wherever that may be. Thanks for stopping by, Mr. Wilson. This entry was posted in Uncategorized and tagged Alexandria, Audubon Society of Northern Virginia, Bill Young, Birding, Birds, Christmas Bird Count, Chryseola, Ed Eder, Huntley Meadows Park, Kevin Munroe, Larry Cartwright, Michael DuBois, Northern Virginia, Paula Sullivan, Warblers, Wilson's Warbler on January 4, 2013 by Fairfax County Park Authority.